At Rose Gardening World, you’ll find Rose Articles that will educate you about Roses – Rose Gardening Tips, Rose Growing Advice, Planting a Rose Garden, Rose Descriptions, Where to Buy Roses, Where to see Rose Gardens, Rose Culture, Rose History, Rose Events and even Rose Verses all in one place. Welcome to the World of Rose Gardening or Rose Gardening World. Visit Rose Gardening World often. We welcome comments. Take time and smell the roses. Roses have been around for millions of years which just prove that Roses are easy plants to grow contrary to popular belief. The Rose is also our National Floral Emblem and the state flower of several states. Happy Rose Gardening! Rosa rugosa roses are very attractive plants but prickly, heavily armored with unforgiving thorns and noted for its wrinkled or rugose foliage. Rosa rugosa produces an abundance of flowers in almost any soil, from heavy clay to beach sand and is a rich source of vitamin C. Rosa rugosa blooms for a long period of time and bears either single or double blossoms with wonderful fragrance. After the petals fall, the plants produce rose hips of a deep red-orange. Rosa rugosa are extremely hardy, except maybe in the most northern gardens. They can be planted in a row to serve as a dense, impenetrable hedge. They are disease-free and rarely bothered by insects. They are also useful in cosmetics and in food. Rosa rugosa can sucker and spread throughout the garden. The Rosa rugosa’s sprawling characteristics can be useful in keeping steep banks stabilized. If you live next to the water, it is useful to hold banks against erosion. Rugosa roses thrive on ocean mist and sandy soil to beautify many coastal settings. Rugosa roses are underappreciated because it lacks the show quality of hybrid teas but they are tough plants. 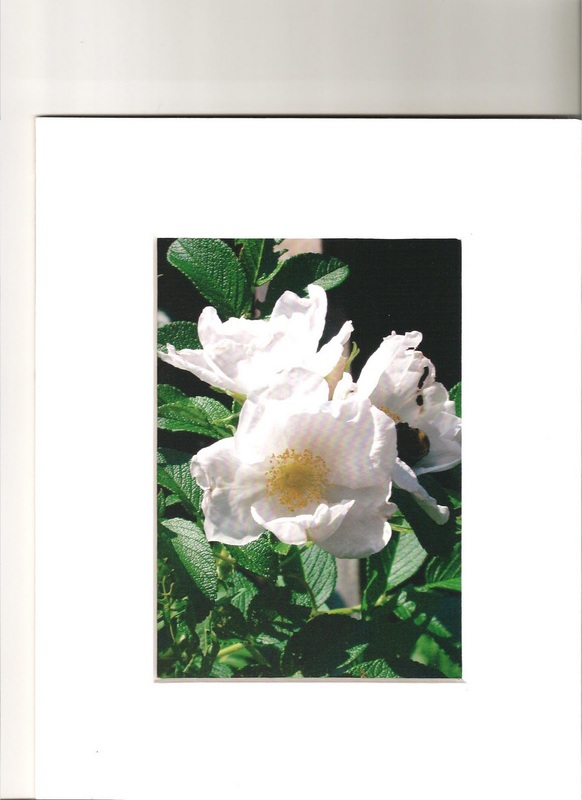 Here is a list of some of the rugosa rosses currently available. Alba – white, single, 6 ft.
Conrad Ferdinand Meyer – Mid-pink, double, 8 ft., train as climber. David Thompson (Explorer series) – Midium red, double, 4 ft.
F.J. Grootendorst – Midium red. semi-double, fringed petals, 6 ft.
Hansa – violet-red, double, 6 ft.
Henry Hudson (explorer series) – white, double, 3 ft.
Jens Munk (Explorer series) – Midium pink, double, 6 ft.
Linda Campbell – medium red, double, 3-5 ft.
Magnifica – dark red, full, 6 ft.
Martin Frobisher (explorer series) – Light-pink, semi-double, 6 ft.
Max Graf – pink blend, single, 2 ft.
Nova Zembla – white, double, 8 ft.
Sarah Van Fleet – medium pink, semi-double, 8 ft.
Scabrosa – mauve, single, 6 ft.
Sir Thomas Lipton – white, double, 8 ft.
Therese Bugnet – medium pink, full, 6 ft.
White Grootendorst – white, full, 6 ft.